Since refers to the phrase “since the assassination,” i.e., the 1963 assassination of President John F. Kennedy. The film reconstructs the event in Dallas with both Kennedy and Lyndon B. Johnson present before the assassination and then after at Johnson’s swearing in. 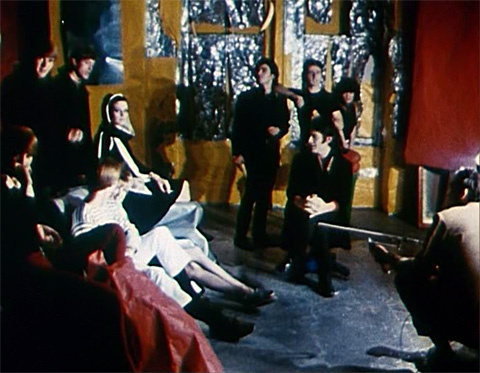 Constructed from media reports at the time and Johnson’s speeches, and using an elaboration of Warhol’s of split-screen technique, the film does not change the vantage point of the camera and it is not presented in continuous time, but features multiple moments and modalities of the scene that are established strictly through dialogue and character. Since has rarely been screened since it was restored in 2002.